For those of you who require regular and large deliveries of full loads, we offer a comprehensive, safe and fast service. Our wide fleet of vehicles allow us to use just the right vehicle for you, so you get the best value delivery at a time that suits you. We also offer night services - each night we have around 50 trucks on the road delivering a variety of products including National Newspapers which of course have to deliver on time. 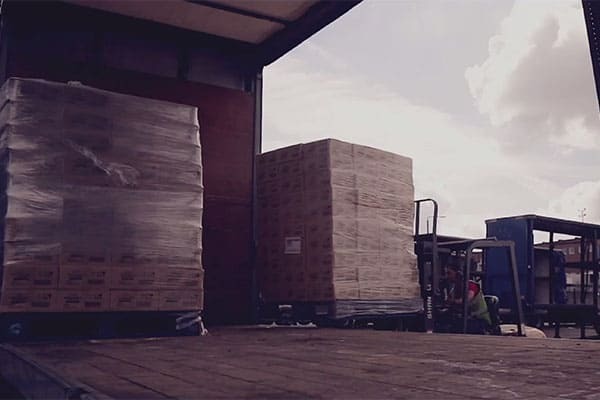 To complement our full load UK wide delivery service, we also can offer you warehousing covering inventory management, pick and pack as well as container loading and unloading. Only have a part load? Part loads are a cost effective ways of delivering your goods when you don't have enough to fill an entire lorry on your own. By combining with other companies delivering their goods to similar locations savings can be made and passed on to you, our customer. Our most economical service allows you to ship your goods across the UK at the most favourable rates. By combining with other deliveries on return journeys we can save on distribution costs and pass those savings onto you.